What can society learn about disability through the way it is portrayed in TV, films and plays? This insightful and accessible text explores and analyses the way disability is portrayed in drama, and how that portrayal may be interpreted by young audiences. Investigating how disabilities have been represented on stage in the past, this book discusses what may be inferred from plays which feature disabled characters through a variety of critical approaches. In addition to the theoretical analysis of disability in dramatic literature, the book includes two previously unpublished playscripts, both of which have been performed by secondary school aged students and which focus on issues of disability and its effects on others. The contextual notes and discussion which accompany these plays and projects provide insights into how drama can contribute to disability education, and how it can give a voice to students who have special educational needs themselves. a description and evaluation of a drama project in a special school. In tackling questions and issues that have not, hitherto, been well covered, Drama, Disability and Education will be of enormous interest to drama students, teachers, researchers and pedagogues who work with disabled people or are concerned with raising awareness and understanding of disability. 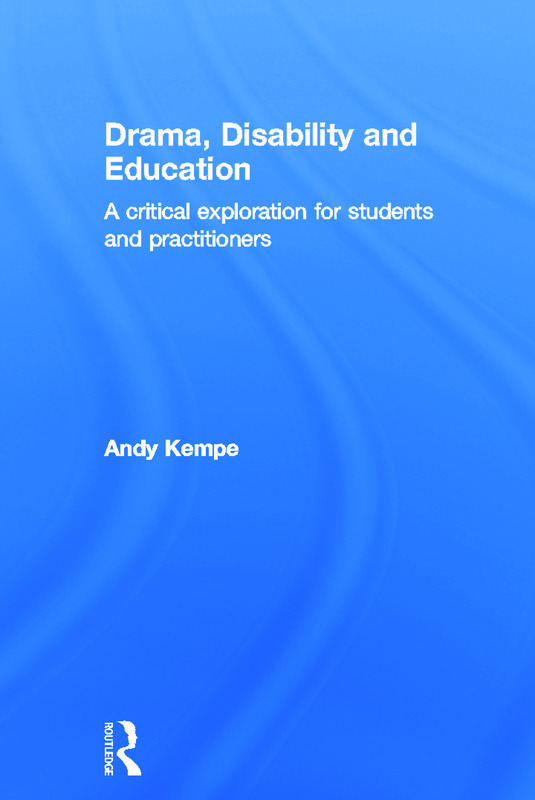 Andy Kempe is a Teaching Fellow of the University of Reading, UK, where he is Professor of Drama Education.